It’s important for recruiters to be able to demonstrate in concrete ways their contribution to the organization. Metrics help to gauge the effectiveness of the operation. Yesterday’s Advisor featured the first seven of SaaS talent acquisition solutions provider iCIMS; today 8 through 10. Did they get it right? In yesterday’s Advisor, we reviewed the good and the bad of preemployment inquiries; today, we take a look at some of the just plain ugly questions that you should never even think of asking. When a company first meets with a prospective candidate, it’s not just the interviewee who needs to be on his or her toes. 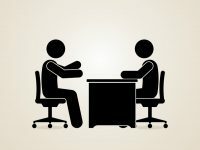 Interviewers must be careful to ask the right questions, not just to ensure they’re making the right hire but also to avoid legal entanglements.